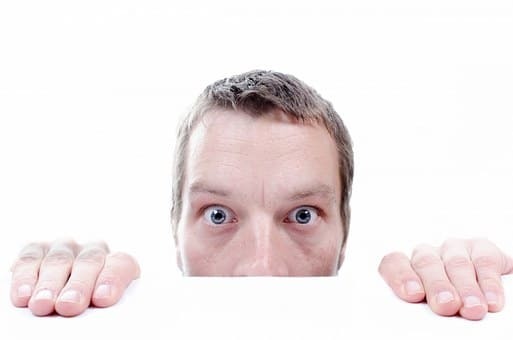 The word phobia comes from the Greek word, "Phobos", which is related to having a fear of something, or often what we might call an irrational fear. Specific phobias is when the person is afraid of one particular thing. If the person is afraid of spiders they would have arachnophobia, if the person is afraid of water hydrophobia. 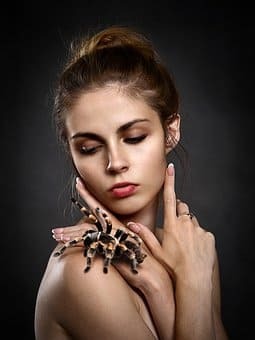 A parent's phobia can some big sometimes be linked to a child's phobia so maybe something that you know if your mom was afraid of spiders that might be why you kind of are afraid of spiders as well but no one knows an exact cause. A phobia is a type of anxiety disorder and is defined as an intense irrational fear of a particular situation, object, animal or activity. People who suffer from a phobia may experience extreme emotional and physical reactions when encountering their particular fear. nearly everyone fears something. Some people become anxious during thunderstorms others get queasy in tall buildings, still, others find themselves jumping onto a chair at the sight of a tiny Mouse. There's a big difference between temporary anxiety that's experienced occasionally and the often crippling uncontrollable fear that can result in a person going to great lengths to avoid their phobia. Even if it means missing a job interview vacation or school play. When people with phobias can't avoid what they're afraid of they may experience various symptoms. such as a rapid heartbeat, dizziness, shortness of breath, excessive sweating, trembling or weakness. Most people with phobias realize their fear is excessive and irrational. They typically are unable to overcome their feelings of dread and the often desperate need to escape the subject of their phobia. Ultimately this may interfere with the ability to function in daily life. Specific phobias also known as simple phobias are the irrational fear of a very specific situation place, animal, or object. The most common specific phobia is fear of animals such as dogs Saina phobia cats, Allura phobia, mice Moosa phobia, snakes Oh video phobia or spiders or manga phobia. That's only the tip of the iceberg the phobias list identifies more than 500 specific phobias ranging from the fear of garlic, dust, clocks comets, to dancing snow strings and puppets. 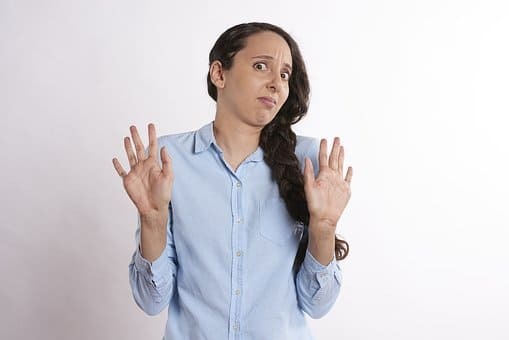 A person with social phobia may be intensely fearful of being singled out talking to strangers, ridicule, eating or showing embarrassment in social situations. The general ones which are more commonly tested on licensing exams are agoraphobia and social phobia. Agoraphobia is a fear of any situation where it may be difficult to escape or get help if needed. People with agoraphobia often feel unsafe in any public place and may become so disabled by their fear that they become housebound. For example, a supermarket or concert places where there's a lot of people. it could be you know a line at the bank, it could be a bus, you know public transportation, a bus, a subway and the reason people have a fear of these open spaces is because and this is the key point. That the fear involves that they may not be able to escape from these places, that are difficult to escape if required. That creates a tremendous level of anxiety in fear agoraphobia can also of course lead to panic attacks and as a result, the patient can become homebound or housebound. Because they're just afraid to go out there afraid of public open spaces so this is a pretty significant net disorder that is commonly tested. Social phobia is basically when the person has an intense fear of social situations, and you know getting together with friends or social gatherings and also performances. For example public speaking public, speaking is by far, the most common. Public speaking is the number one fear of a human being. on this list of top things that people are afraid of public speaking was number one the number two biggest fear of a human being is dead. People are more afraid to get up in front of a crowd and give a speech that they are dying according to a study that was done. Social phobia is very common and as a result when a person is in a position to do public speaking or maybe acting in a play or playing a musical instrument in front of people. They will have these symptoms of sweating and trembling and all the things that you would expect if a person is incredibly nervous or afraid. Social phobia so now that you have the definition in the description how do you go about it well the diagnosis you know these are psychiatric disorders so the diagnosis really just involves a history in the history there's no diagnostic testing. ..., the second part is therapy now the medications for both agoraphobia and social phobia involve vision that can be used to calm the patient down reduce their heart rate. Therapy what type of therapy well there's two types there's exposure therapy, and then there's cognitive behaviour therapy. Exposure therapy as the name implies were referred to simply exposing the person to the thing that they were afraid of. At first, that may sound ridiculous but it's shown that if this is done in a controlled environment that the person can eventually habituate to the thing that they're so fearful of and then gradually their anxiety will decline as this is practised. The second one which is cognitive behavioural therapy involves sitting down and teaching the patient to wreck nice and controlled the way they think and their beliefs with regard to what they are afraid of. The combination usually works very well it's actually worked it's shown to work in greater than 90% of cases. Phobias typically develop early in life, they may be triggered by experiences but also tend to run in families. Children whose parents have a phobia are about three times as likely to develop a similar phobia than where there is no family history. Phobias are the most common anxiety disorder among women overall and the second most common anxiety disorder among men over 25. For people who suffer from a phobia the effects can be life-altering their lives are often planned around avoiding concealing or defending their phobia while struggling to cope with their fear. Most phobias can be successfully treated if you or someone you know is affected by phobias consult a mental health professional.